Vietnam is famous around the world for being an adventure lover’s mecca. Boasting dramatic, diverse terrain, beautiful scenery and everything from mountains to seascapes to explore, there is no better way to get that adrenaline pumping than with a holiday in Vietnam! As Vietnam has only recently become such a hotspot for adventure tourism, you may not realise just how many incredible experiences can be found in the country. Indeed, around the country there are an endless amount blood-pumping sporting experiences to be had. 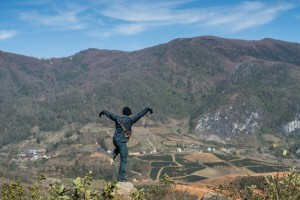 So here are our top 10 unmissable extreme sports to try out in Vietnam! 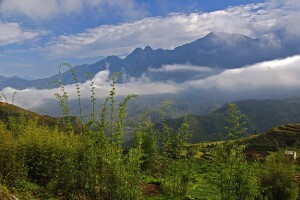 One activity that has always been a part of the Vietnam experience is trekking. 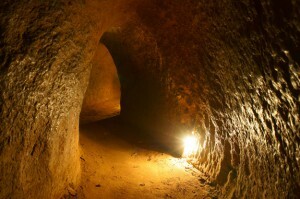 This is possibly the best way to discover the rural areas of Vietnam and their unique cultures. Simply pull on your walking boots and go! There are countless hiking routes in Vietnam, from rice paddies to jungles, but perhaps the most impressive is Mt Fansipan. 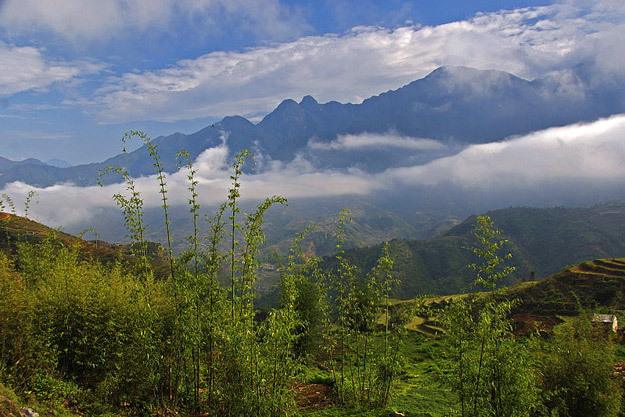 At 3,143 metres high, this mountain is the highest peak in Vietnam and located in the Lào Cai Province in the Northwest of the country. 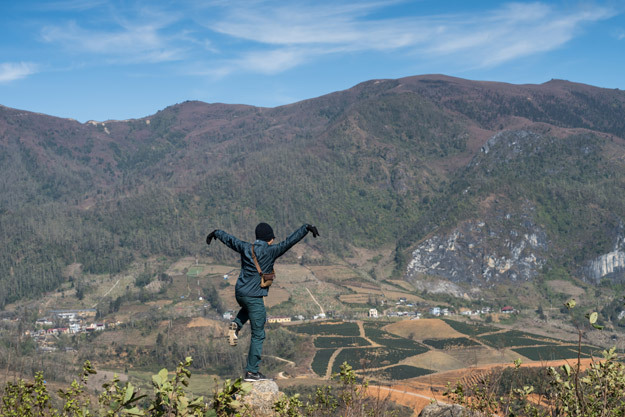 Hiking to base camp will lead you through some of the most remote areas of Vietnam, and once you’ve climbed to the summit you will be utterly breath-taken by the spectacular views. With complete ease you can rent a bike and go on an adventure through villages, cities, farmland and much more. 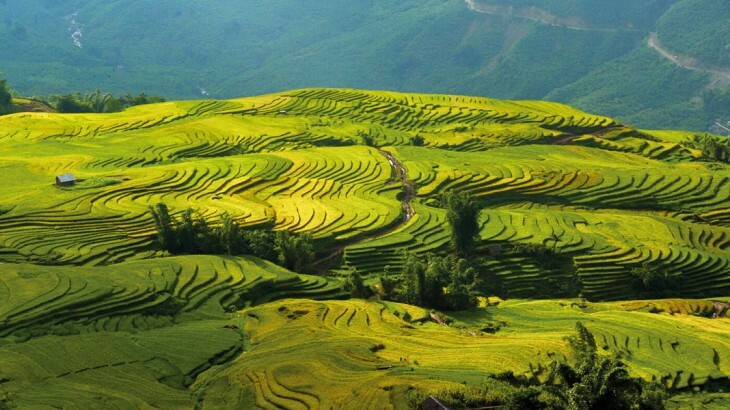 The rolling rice paddies of Sapa will look gorgeous as you glide by on your bicycle, or for something a little more blood-pumping, why not try out mountain biking? This popular activity is loved by visitors every year, some of whom even take a kind of pilgrimage from Hanoi to Ho Chi Minh City, over two weeks! 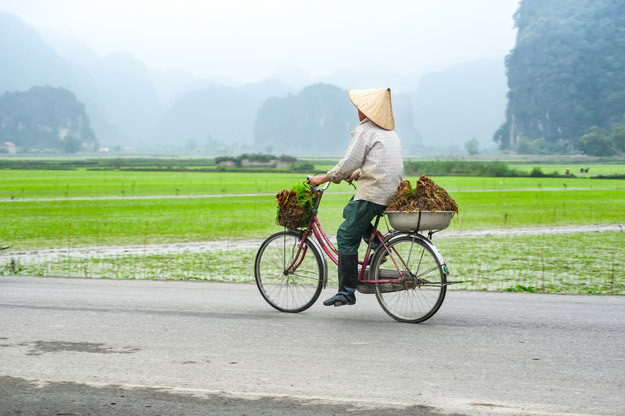 Of course, you don’t need to spend so long to enjoy mountain biking – areas such as Sa Pa, Mai Chau, Bac Ha, Da Lat and the Mekong Delta all provide exciting terrain and amazing sights. 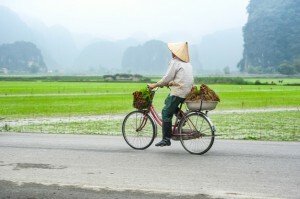 If you’re feeling the need for a little more speed, take your biking up a notch and try out motorbiking around Vietnam! Locals are huge fans of motorbikes and mopeds, which isn’t surprising considering the motorcycle is possibly the most efficient way to get around the country. 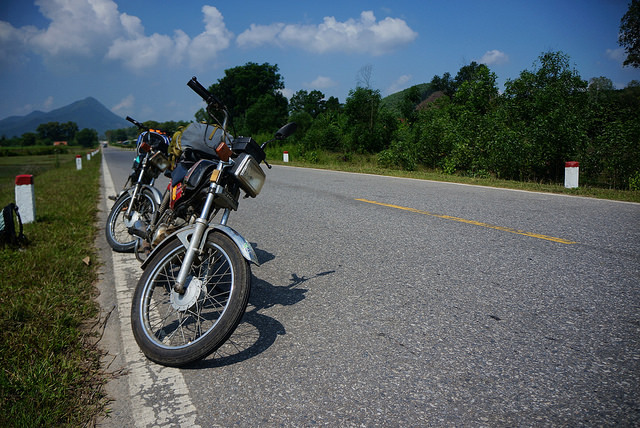 Rent a moped or bike and you can either feel the buzz of Highway 1 or take it easy taking in the views around Phong Nha-Ke Band World Heritage National Park. Vietnam is known for its ethereal waterscapes, from Halong Bay to Hoi An. So why not take a dip in the serene waters? Some of the best locations to swim are at Mui Ne bay, Nha Trang and Da Nang. These areas are also hives for exciting sports on water such as paddle boarding, kayaking, kitesurfing and windsurfing, Mui Ne is globally famous for these awesome activities, and even holds an international competition in windsurfing and kitesurfing each year. Paddle boarding is a relatively new form of exercise which will thrill – a cross between surfing and kayaking, this sport is the perfect fun form of exercise. Trying out these exciting sports in Mui Ne, you will be able to make the most of the incredible waves in close proximity to the city. Kayaking in emerald Halong Bay is also a highlight of any Halong Bay cruise! However, always be aware that much of the Vietnam coast has potentially dangerous undercurrents and can see strong winds – so make sure you take note of any warning signs presented by lifeguards or visible threats to your safety. Dive into the underwater world of Vietnam as you try your hand at scuba diving in the county. This country is full of sapphire blue oceans waiting to be explored. In areas such as the island of Phu Quoc, you’ll find a bustling world of marine life and also the best location in Vietnam to go diving. 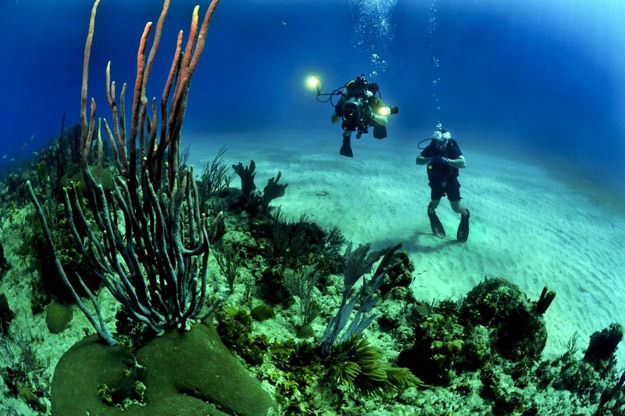 Just off the southern coast of the mainland, Phu Quoc is the ultimate for snorkelling and diving, but Nha Trang, Hon Mo and the Con Dao Islands are also fantastic places to see fish, seahorses, bamboo sharks, rays, clownfish, colourful corals and much more. With a bounty of mind-blowing rivers and waterfalls with jagged limestone cliffs in areas like Da Lat, Vietnam is perfect for rock climbing. 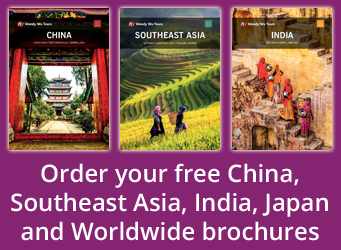 Locations such as Phra Nang and Halong Bay are perfect for beginners, where numerous schools lead courses with the safety of equipment and specialist advice. 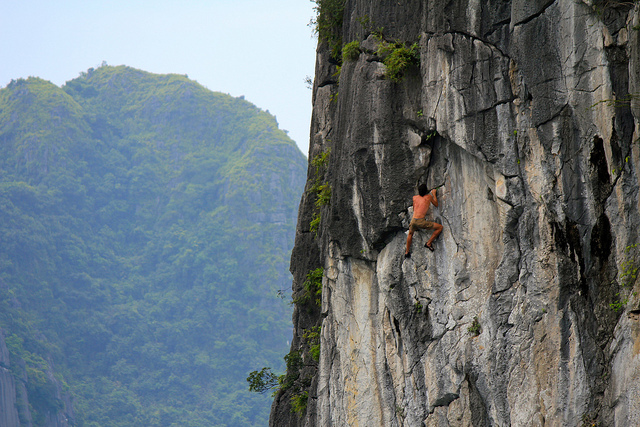 The experts at Climbing.com suggest that, for an even more exhilarating adventure, very experienced climbers can head to Haiphong for some deep water soloing (climbing without a rope). 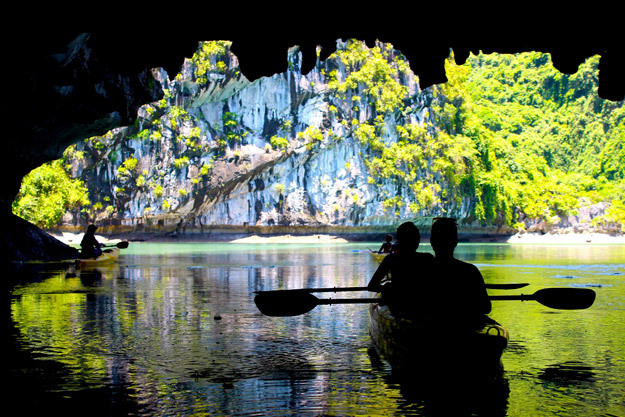 Take the speedboat to Cat Ba Island, then pick a boat and paddle to a rock face or cave before going deep water climbing. Here you can even combine your trip with sight-seeing around Halong Bay. However, this type of climbing is not for the fainthearted or inexperienced, so make sure you get the advice and expert opinion from the professionals before attempting it yourself. 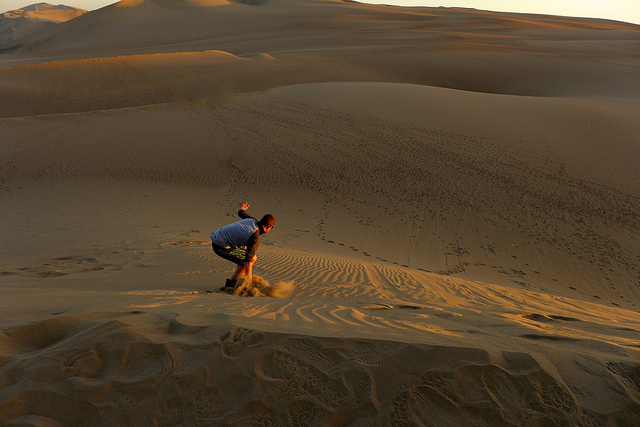 This is why, for an increasing amount of people, Sandboarding is becoming on of the top go-to sports for adventure travellers. Similar to snowboarding, this activity sees riders descend sand dunes at immense speed, some performing flips and other tricks. 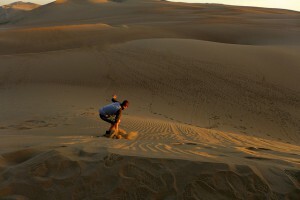 The Guinness World Record holder for ‘Speed on a Sandboard’ reached 51 miles per hour! If you’re in need of a break from thrill-seeking among your adventurous travels, tai chi is the perfect way to wind down whilst learning something new. Originally developed as a martial art in 13th century China, tai chi is now practiced worldwide to improve breathing, relaxation and overall health. To try it out for yourself, why not check out our beginner’s guide to tai chi before you go? This experience is not so much adrenaline-pumping as educating, but you will certainly be fascinated to learn how some of Vietnam’s most fiercely adventurous spirits evaded war using extreme techniques. These are just a few of the amazing experiences on offer in Vietnam. Whether you’re looking for a full-blown adventure tour of Vietnam and Cambodia or simply fancy injecting something different into your travel itinerary, there are an endless array of brilliant sports and activities to try out in Vietnam – ones that you will never forget! Explore the many sides to Vietnam on a holiday booked with the Asia experts, Wendy Wu Tours. Our fully inclusive, escorted Vietnam holidays visit all the major sights for an unforgettable time. Vietnam sports, top things to see, vietnam news. permalink. Vietnam is the best place to spend holidays. My Favourite sports in Vietnam is MOTORBIKING.Thanks for sharing this post with us.